NEW YORK—For these people, life was a purgatory, where every day they languished in a Chinese prison or labor camp they may have been shipped off to a hospital, not for treatment, but as a perfect source of fresh and profitable organs. They are survivors of the persecution of Falun Gong, a meditative spiritual practice based on ancient Chinese tradition, that the Chinese Communist Party has repressed for 16 years. Now they are filing criminal complaints against former Party chief Jiang Zemin, the man directly responsible for it all. 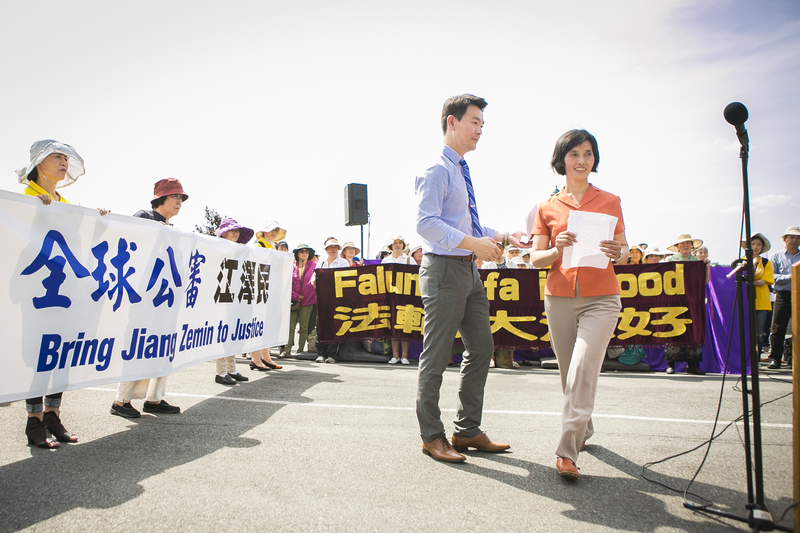 Gathered in New York City for a rally outside the Chinese Consulate on July 3, Falun Gong practitioners who survived imprisonment and torture at the hands of the Chinese regime spoke about their experiences to an audience of hundreds. They are part of a global movement to bring Jiang Zemin to justice, one that in recent months has gained momentum—especially in China. The highest profile petition filed so far is from the family of Gao Zhisheng, a rights lawyer in China who rose to fame after successfully defending disenfranchised groups including Falun Gong. Geng He, Gao’s wife, mailed letters of complaint on behalf of herself and her family from San Francisco on July 6. The letters describe the brutal persecution of Falun Gong, and the abuses Gao endured at the hands of public security agents when he was detained for long stretches between 2006 to 2014. It remains to be seen how a piece of legislation passed in May that gives individuals more legal opportunity confronts a long-standing Communist Party political writ. As of July 2, 43,404 people from mainland China and around the world have made use of the May 1 Chinese legal reform to file criminal complaints to the Supreme People’s Court and Supreme People’s Procuratorate in Beijing, the official Falun Gong website Minghui.org reported. 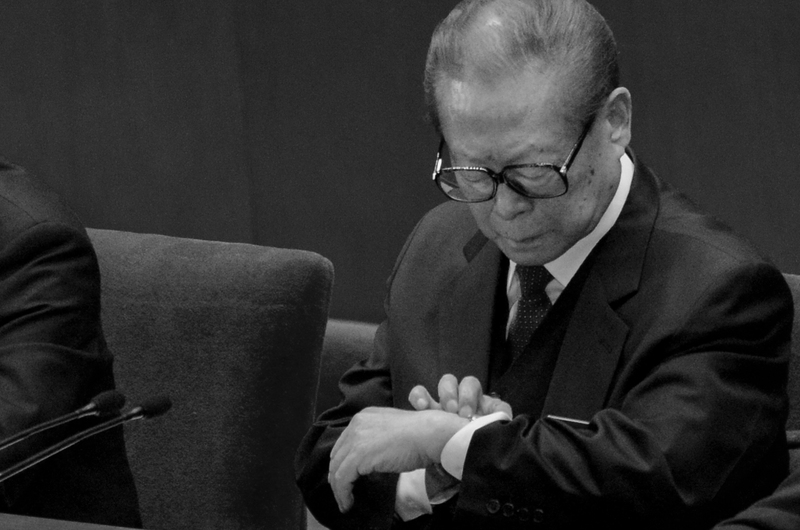 In July 1999, Jiang Zemin, in his capacity as general secretary of the Chinese Communist Party, used dictatorial power to mobilize the state and Party in a nationwide campaign to eradicate Falun Gong. Tens of thousands of Falun Gong practitioners have been tortured to death or murdered for their internal organs in Chinese prisons, labor camps, and hospitals. Hundreds of thousands at any one time have been unconstitutionally detained, according to estimates by human rights researchers. The rally before the consulate featured speeches given by 10 Falun Gong practitioners, including one who currently lives in China. 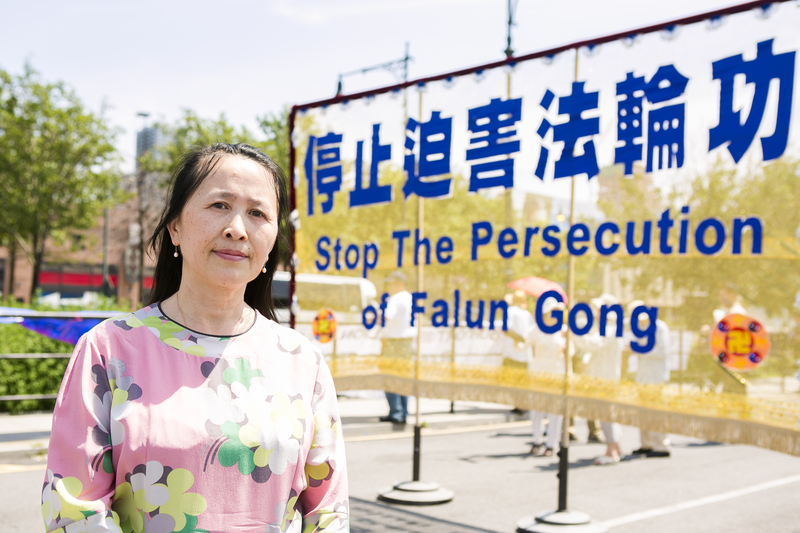 According to Rong Yi, who organized the rally before the Chinese Consulate, over 80 Falun Gong practitioners in New York have filed suits against Jiang. 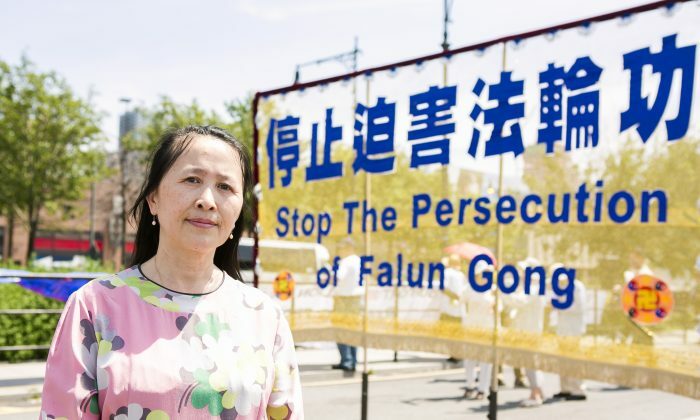 “The main purpose is to support the global lawsuit against former President Jiang Zemin, who was the one who started the persecution of Falun Gong practitioners in 1999,” Yi told Epoch Times. Charlie Zhang, Falun Gong practitioner and manager at an auto trading company in Beijing, spent two years in a labor camp following his illegal arrest by Chinese police in the early years of the persecution. There, he witnessed the beating to death of fellow inmate Peng Guangjun. Zhang, who has practiced Falun Gong since 1996, was fired from his job at the state-run China National Radio when the persecution was launched on 1999. Now, he is among those suing Jiang. 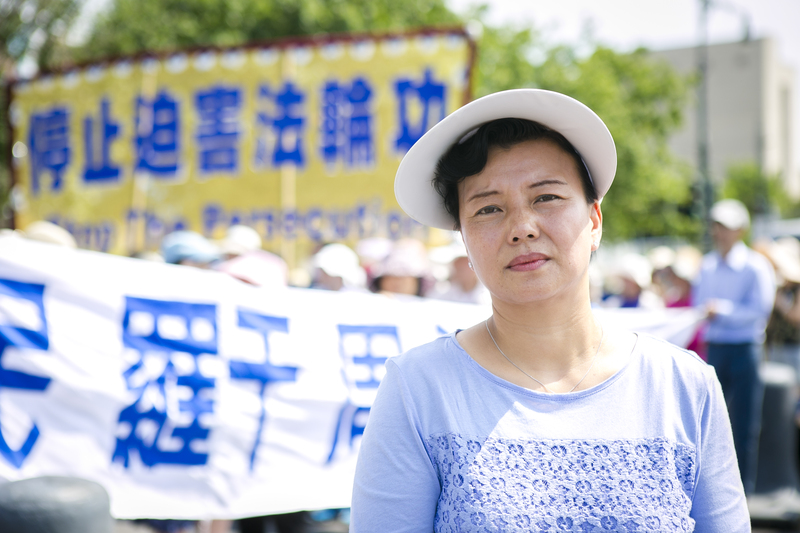 Xie Dong, 47, lost her mother to the persecution of Falun Gong. She herself was imprisoned and tortured in Masanjia, a labor camp infamous for its abuses against female inmates. Xie, who started practicing Falun Gong in 1999, said she was subjected to a variety of tortures: force-feeding, days in solitary confinement or being subjected to high-volume noise, and being tied to bed and having her limbs pulled in different directions. Now a medical caretaker working in Flushing, Xie said she is suing Jiang because there isn’t a single law in China saying practicing Falun Gong is illegal—the Chinese Constitution guarantees freedom of belief. Xie’s mother, in poor physical condition due to abuse while in police detention, passed away on June 22. “Many people believe that being beaten or tortured is very serious. But I think physical pain is nothing compared to the psychological trauma,” said Xie. Zhu Yuanzhu, 47, who has two sons, was labelled a terrorist and illegally imprisoned in Hangzhou Women Prison for seven years in the 2000s. “In prison, they deprived me of sleep. They would pour eucalyptus and peppermint oil into my eyes to prevent me from sleeping,” she said, referring to a common form of mosquito repellant (fengyoujing in Mandarin Chinese) containing a variety of essential oils, extremely painful when making contact with the eyes. She also recounted being injected with unknown drugs. “I am suing Jiang because he is the one responsible for this,” Zhu said. Yuan Ping, 43, a private Chinese instructor now living in Flushing, recounted the trauma her son experienced due to the persecution in China. She recounted how she had moved the family constantly in order to avoid the police. “My son grew up in fear. For countless nights, he would wake up screaming, telling me that bad guys were coming to arrest me and that we had to run.” Yuan eventually came to New York in 2012. Her son, now in high school, arrived a year earlier. The unconstitutional repression, which has extended to the harvesting of internal organs from tens of thousands of living prisoners, was buttressed by a round-the-clock, Cultural Revolution-style propaganda barrage in an attempt to turn popular opinion against Falun Gong. “The police would put the portrait of the founder of Falun Gong at the bus stop. Anyone wanting to get on the bus must step on it. Anyone who refused would be arrested,” Yuan said. An Attempt at Policy Reversal? The recent wave of mainland Chinese lawsuits against Jiang Zemin was made possible by changes to Chinese legal regulations that came into effect on May 1. Now, according to Chinese legal literature, courts cannot unilaterally reject lawsuits—they must promptly inform plaintiffs of the specific mistakes in their suit documents and actively request the information missing from the case. In the past, courts could reject lawsuits for minor errors in the case papers. Decisions made by court officials were often influenced by outside political pressure or lobbying, particularly in Falun Gong cases. Jiang Zemin, who left his post as Communist Party general secretary in 2002, built up a sprawling political clique within the Chinese power structure to maintain influence, but recently his network of allies has been decimated by General Secretary Xi Jinping’s ongoing anti-corruption campaign. According to Li, who spoke with Epoch Times, the post-Jiang leadership of the Chinese Communist Party wishes to shift responsibility for the persecution of Falun Gong to Jiang and his allies. This, Li said, is evidenced by the purges of key officials with ties to Jiang, such as the recently sentenced security chief Zhou Yongkang, high-ranking Gen. Xu Caihou, and Li Dongsheng, the official in charge of directing the persecution until he was ousted in 2013. 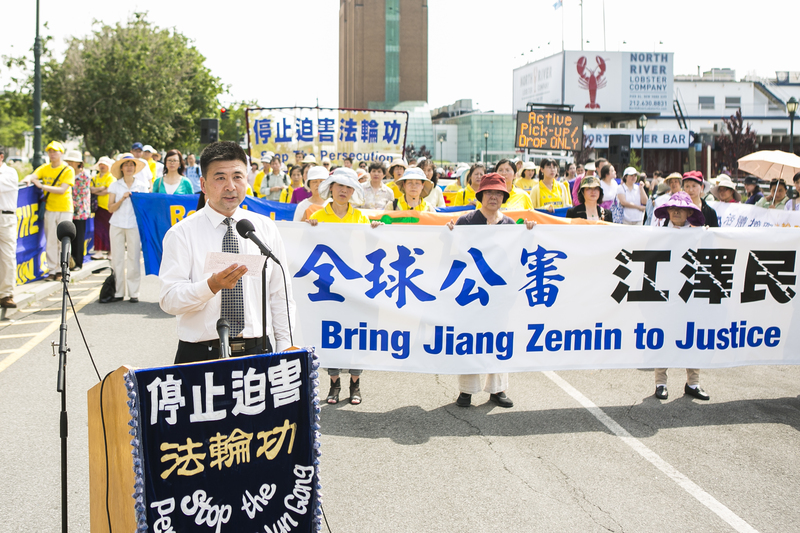 The lawsuits against Jiang Zemin highlight the informal shifts in attitude toward Falun Gong at the top echelons of Party leadership. This, Li said, is having a ripple effect at all levels of the Chinese regime’s security system. “[State personnel] are seeing the media reports and reading court documents, they are also pondering and researching the trends. Those with more flexibility in their thinking are abandoning the old policy of persecution,” Li said. Over 70 criminal complaints have been filed against the former Party leader.